Emergency charging batteries are the new thing on the block. These humble devices hardly get any limelight, yet they are slowly becoming a permanent feature of many of our handbags, backpacks, or just travel kits. I never travel without one, and I am often found charging mine when it isn’t full. It is simple really. A device that is quite similar to your smart phone, or a portable hard drive, that is capable of charging your phone up to 3 or 4 times, or even 5. Can be easily charged itself. No brainer really. 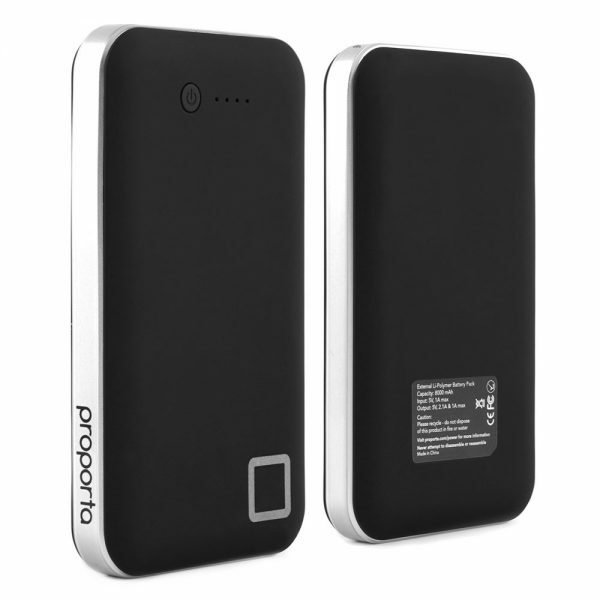 Proporta has a whole range of offerings in the Emergency Charger category, called TurboCharger, and I tested the TurboCharger 8000, which as the name suggests, has 8000 mAh to offer. So, as I have already mentioned, it comes in a portable hard drive type size which will easily fit in a pocket, or of course your bag. The build quality is great, as is the finish, unlike some of the cheaper offerings out there. The device includes a button to turn it on or off, though I find it is mostly useful as it enables the LEDs that tell you what battery level is on offer. It has two output currents, one giving 2.1A, the other 1A. The 2.1A is happy to take care of the heavier and needier devices, such as the iPad, while 1A should be happy to charge most phones. You can plug two devices in as well, though as the literature says, it will only output 2.1A as a max. You can, of course, plug in a phone into the 2.1A charging port, to charge faster if your phone allows. The newly released Mohawk range also allows you to personalize your device for an extra £4.95, the cost of the charger being only £29.95. On usage, it was found that it does what it says on the tin. 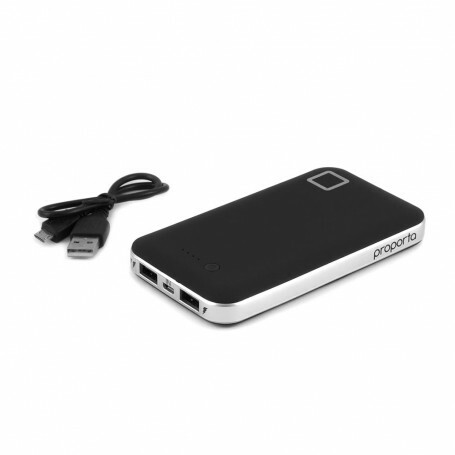 It will charge most mobile phones 2-3 times easily, and sometimes stretch to 4. Of course, you must remember that, as your phone is charging from this, it is still using battery power, so it isn’t just your charger size divided by battery size. All in all, a useful device, specially for people on the move.